It's been years since we sold the farm where my wife and I raised our boys. We also raised chickens, dogs, cats, gardens, and more than a few eyebrows there. But the centerpiece was the small apple orchard. Our farm was blessed with an abundance of fruit trees and berry bushes. The real treasure was a collection of dwarf apple trees that were grafts of stock that came from Thomas Jefferson's orchards at Monticello. These heirloom apple varieties had captivating names like "Arkansas Black," "Cox's Orange Pippin," "Duchess of Oldenburg," "Roxbury Russet," "Spitzenburg," "Stayman Winesap," and "Liberty." I can't possibly describe how delicious these apples tasted. Imagine how an organic apple bought at the supermarket tastes compared to the mealy red delicious and multiply that by one hundred. That'll give you a rough idea. Until you've had an heirloom apple off the tree, you don't have any idea of what it means to truly eat an apple. Since we moved to town, as winter turns to spring, I still think of this time of year as "pruning season." The time of year when, pruners in hand, I entered the orchard to do my level best to promote the vitality of the trees and help them realize their purpose. Pruning is the strategic removal of diseased, damaged, dead, non-productive, structurally unsound, or otherwise unwanted growth in order to promote the trees overall health, longevity, and flourishing. 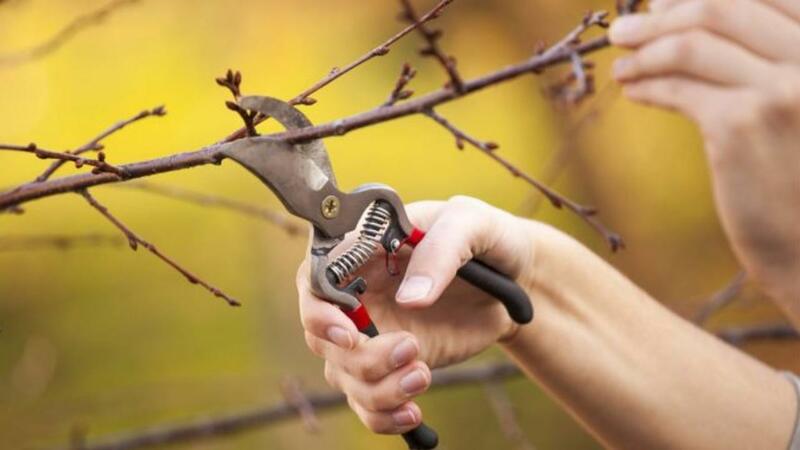 Pruning may sound like a harsh act of elimination, but it's actually a generous act of enhancing the welfare of a living thing. Done right and done well, pruning cultivates thriving. To prune is to say "goodbye" to what is no longer serving a purpose and to invite possibility, potential, and promise. As Emerson's quote above reminds us, pruning helps encourage vigor into where it is necessary and deserved and encourages integrity. I've asked this question often since the arrival of spring. It's a really powerful process for "pruning" unnecessary clutter from my life and helping me be more "present" for the work and people in my life that matter most. What excess or extraneous "stuff" can you prune from your life today that would enhance your sense of prosperity, progress, and purpose? I’m a husband, father, teacher, and musician from Floyd, VA. I help others step into "what's next" with intention and integrity at Creative On Purpose, and I coach in Seth Godin’s online programs. I’ve written two books about cultivating excellence while making a difference available at this online bookstore.